Flooded homes, ruined businesses, hearts broken, Harvey. We were told the water came in 18 inches in twelve minutes. 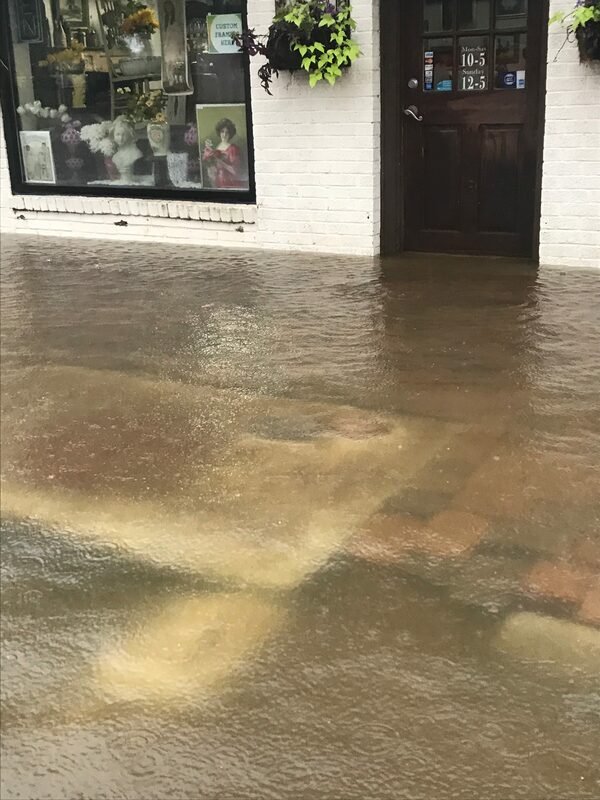 It rushed in as the railroad tracks that served as a damn crested and the water surged towards the Limited Edition Arts and Antiques which houses OriginalVintageMoviePosters.com. It rushed out as quickly as the tracks gave away and the flood water resided leaving our gallery devastated. 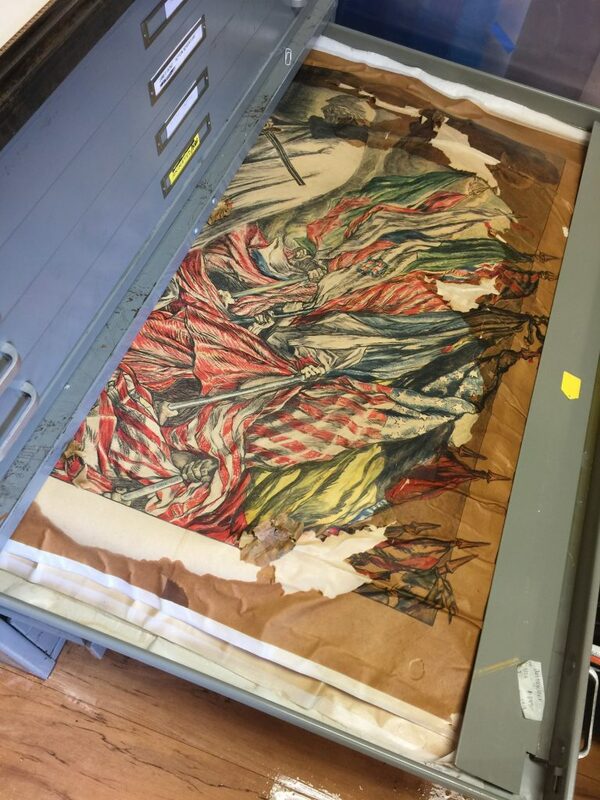 Water damage and World War 1 (WW1) posters do not mix. 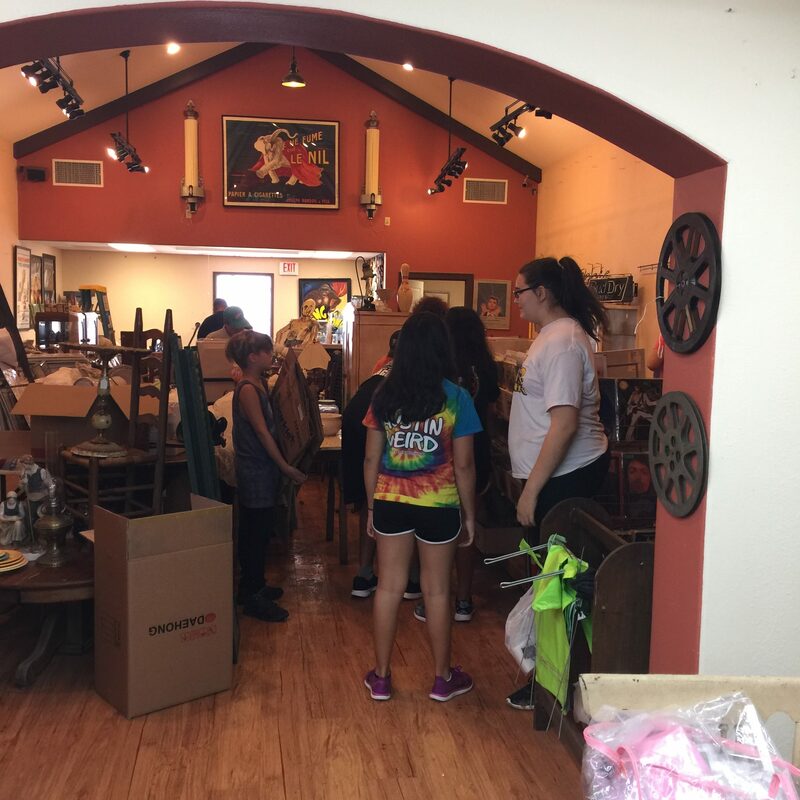 Somehow the community came to our rescue with boxes, paper, knife cutters and elbow grease! They moved and wrapped all the antiques and collectibles to the back of the poster gallery. Ripping out carpet and sheetrock all to be massed in front of the gallery where it would fester for 5 weeks before it was picked up. There must have been 30 volunteers who came to help, many of them we didn’t know, many were friends, family and faithful conservationists. We saved what we could. Many items with a long past and rich history, lost, and not easily replaced. 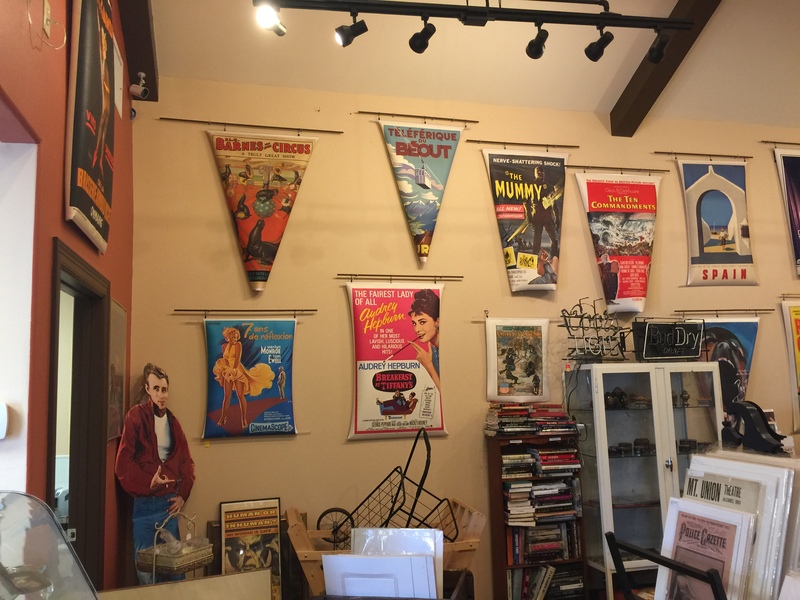 We restore original vintage movie, world war 1 and 2, travel, magic, Star Wars and posters from all eras; how ironic we are our own customer and are now restoring our water and humidity damaged posters! 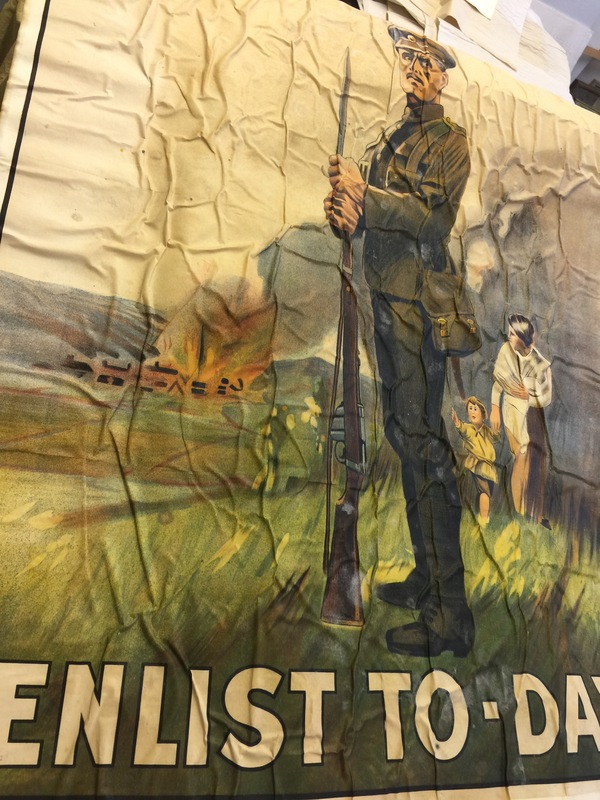 Unfortunately, the majority of the posters affected by the water and humidity were our highly rare and old world war 1 (ww1) and (ww2) vintage military memorabilia posters. 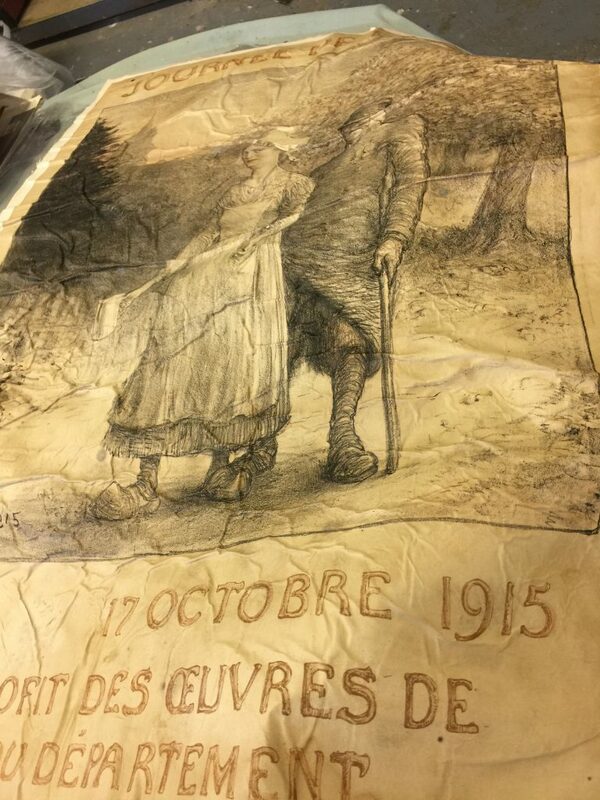 The World War 1 “Propaganda” posters are already over one hundred years old in some cases and some were previously restored at our studio. 100s of hours were lost by our chief conservationist Harry Proctor and fine art conservationist Elizabeth Proctor, but their strong spirit and perseverance kept their heads high, they set-up a poster triage and rescued dozens of posters that would have been lost without the immediate attention they were given. We hope that these rough guidelines we used to save many of our posters you can do with your own prized possessions should you be beset by the worst mother nature has to offer. In an event your paper is on walls or on the ground and is either affected by humidity or direct contact with water, the first task is to get all un-damaged posters out of the damp room and into air conditioning. The second step is to get all posters off the walls, to try and get posters out prior to any intense humidity damage. We could not get to our gallery during the storms, and in less than 24 hours of humidity, posters already began to fold in from the absorption of moisture. 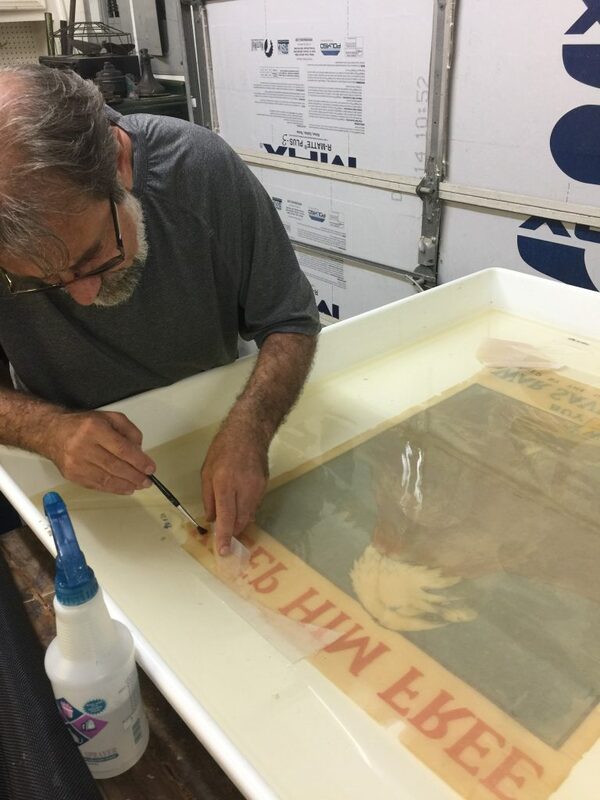 The third step is to get out the most expensive, rare or sentimental posters out that have had contact with water. Once wet, they need to remain wet until they are prepared to be restored, conserved or saved. All posters and paper affected by moisture need a well air-conditioned room. In our case, the hundreds of posters required a “triage”. Many were immediately thrown out, with only the most important chosen to be saved… All WW1 and WW2 were worked on. Each poster had to be individually bathed in water with a light bleach mix to kill the onset of mold. This was a tedious task of removing them from the soiled linen and then drying them out with blotting paper. It was heart-wrenching to see so much history lost forever, but comforting to know that this tragedy happened to a paper conservation studio, equipped with the tools and know-how to save as many as were humanly possible. 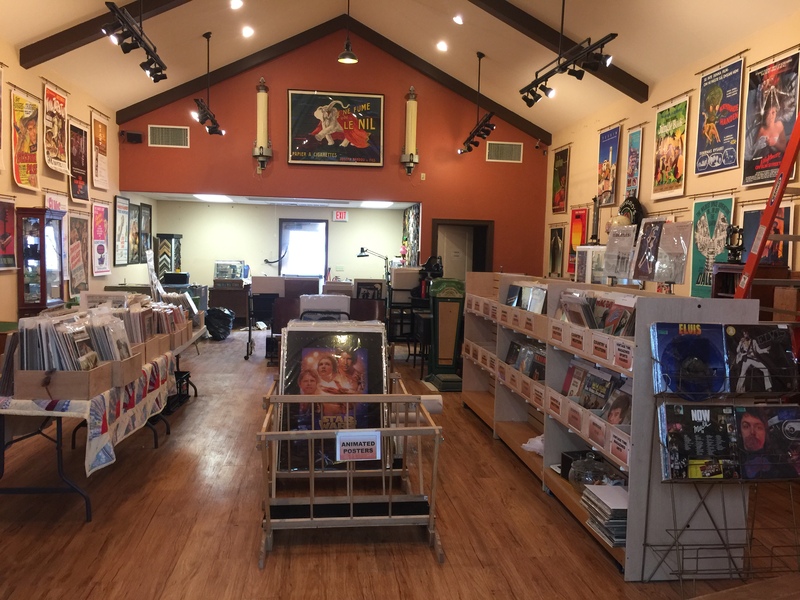 As people returned to their homes we began to receive many wet and moldy posters from customers that had damaged art and other sentimental attachments. 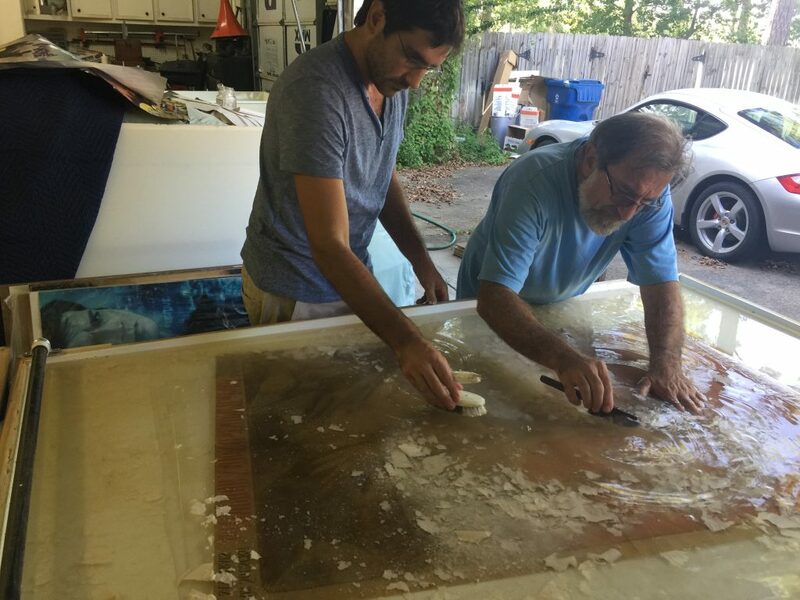 We took on the most sentimental work first, as there is only a small window of time art can be saved and restored before it is ruined from the onset of mold. 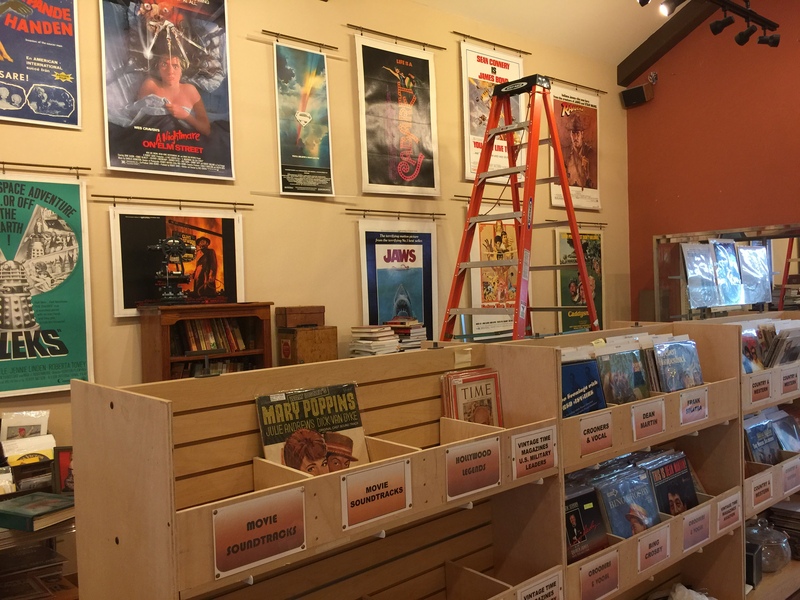 December 29th of 2017, it has been 3 months and we are still restoring damaged posters from Harvey, many we neutralized early on and are in a line waiting for their day to be mounted to linen, restored and brought back to life. 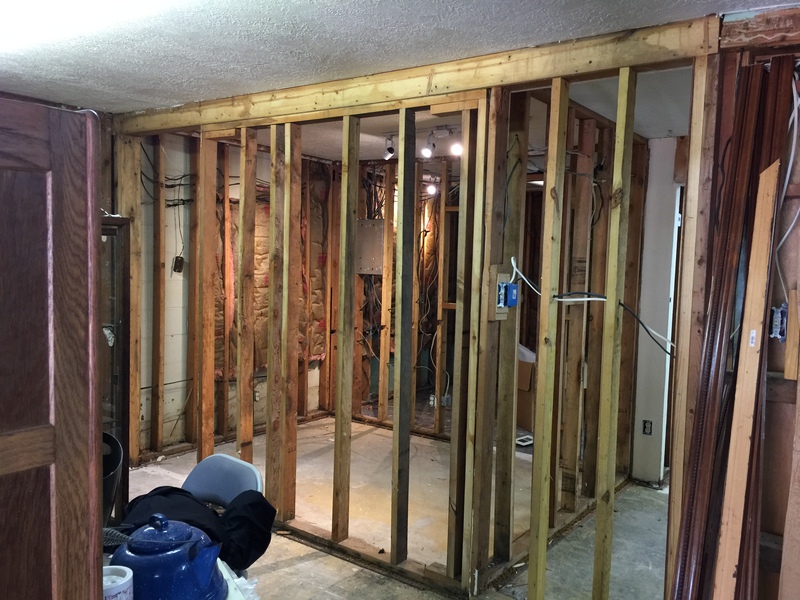 in 48 to 72 hours, depending on the temperature mold sets in and in most cases it can be neutralized and removed, but when it turns black there is very little that can be done. 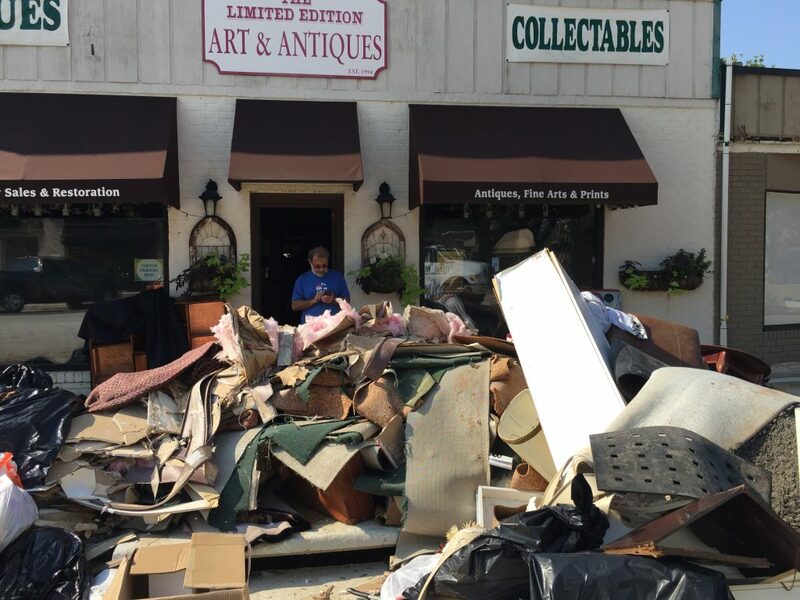 Harvey was a true lesson in community spirit, every day during the revitalization of our gallery there were dozens of people, some we knew, many we didn’t. When people say “Houston Strong” this is a badge of honor the people of this great city have earned. Strength in a community can surmount any ordeal. 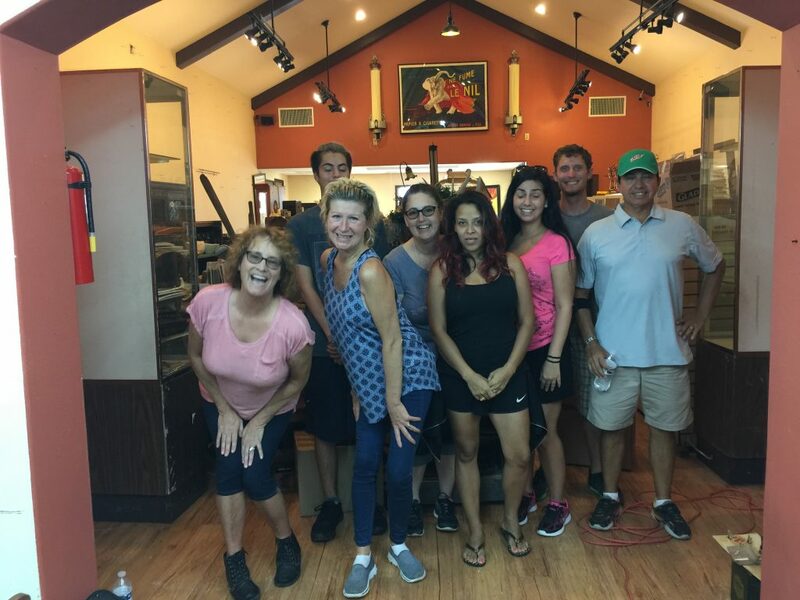 A special thank you to all the many volunteers who came to our rescue. Katy and Houston Texas truly are “Strong”!